TNW Deals is packed with money-saving offers every day. Here are some of the best deals from September. Get them while you still can. 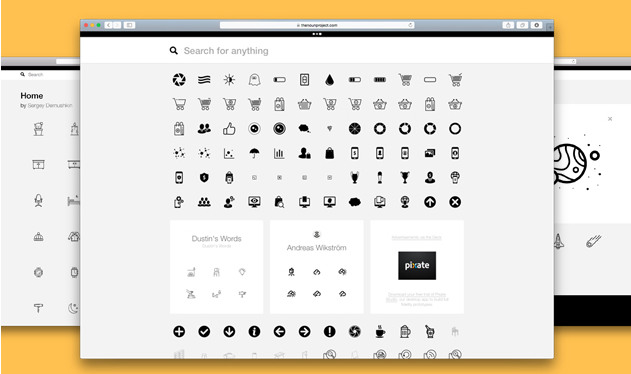 Get the best source for professionally-designed icons ready to be put to use in your next design project. With a 2-year subscription to their archives on sale for just $39, you’ll find over 150,000 royalty-free icons for any project you’re working on – use the format and size that fits your project best. At 83 percent off the normal retail price, it’s an offer too good to pass up for designers. By routing your data via intermediary servers, TigerVPN makes it almost impossible for anyone to trace your online activity. You can choose from 15 nodes, which are spread across 41 countries on five different continents. This means you can select a nearby server for maximum speed, or go elsewhere to access region-locked services, such as Netflix and Skype. The servers are optimized for a 10Gbps connection, meaning that latency is kept to a minimum. At TNW Deals, we currently have TigerVPN lifetime subscriptions for $29. This price includes updates, and access to the apps on all supported platforms, at 96 percent off the standard price. Many best-selling authors have abandoned Word in favor of Scrivener, an app that provides a clean writing interface and useful reference tools. Right now, you can pick up a copy (Mac/PC) at 56 percent off the MRSP. Unlike a regular word processor, Scrivener is set up for long-form writing. It has a distraction-free fullscreen mode for composing prose, and the “snapshots” feature allows you to restore and rewrite previous versions of your work. You can also load documents into floating windows above the text for quick reference, and there is a searchable database for storing notes. Scriptwriting mode provides custom formatting, along with the option to export to other apps, such as Final Draft. You can currently grab Scrivener for $19.50 via TNW Deals — make sure to choose whether you want the Mac or PC version on the deal page. It’s rarely an easy task to find the perfect balance of space, access and security to suit your cloud storage needs. With SkyHub Cloud backups, you can keep your files safe for life on SkyHub’s servers, away from whatever natural disaster or external threat that might threaten your devices. You’ll get unlimited encrypted backups of any size from up to three computers, and can view them from any device. There are no tricks or catches here. You can store a full terabyte of data in the Skyhub Cloud, as well as all your devices. And this will be stored in SkyHub’s servers forever. Get it now at an impressive 88 percent off from TNW Deals.